Want to know what the temperature on the surface of the sun is? Almost 10,000 degrees fahrenheit by the way. Or maybe you would like to know who wrote the song A Blossom Fell? It was written by Howard Barnes, Harold Cornelius and Dominic John and published in 1954. Or maybe what will the weather be next Tuesday in Patagonia? 87 and mostly sunny, for the record. It used to be that you had get off the couch, walk to a book shelf and pull down the Farmer’s Almanac, Encyclopedia or Webster’s Dictionary to gain that knowledge. Now you just Google it. How many times a day do you hear the words, Google it? How many times a day do you say it? How many times a day do you use Google to gain that little tid bit of information that you simply must have? I use Google daily. There I said it, I am a Google Junkie. Take away Google and I believe my IQ will drop significantly. Google has been expanding their services rapidly in the last year or so, along with GMail, Google Search, Google Maps, Google Translate, Google Books and one of my favorites, Google’s Blogger. 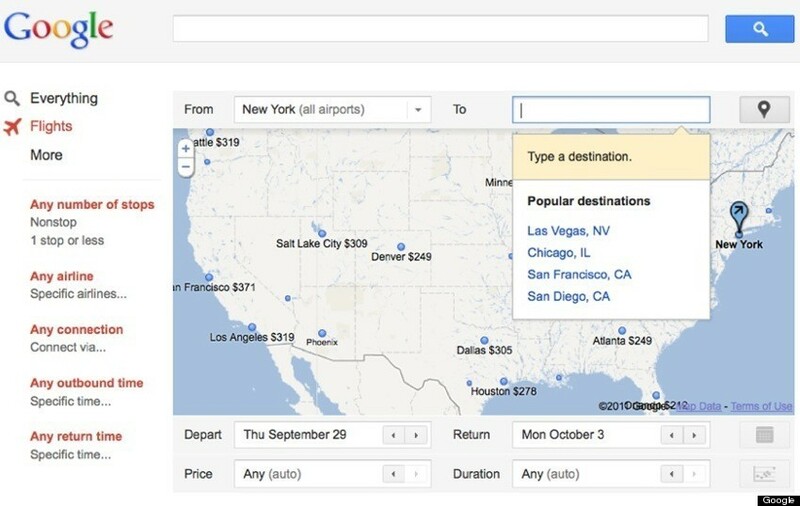 You can now add Google Flights to your daily search routine. This shouldn’t really come as any great surprise considering the majority of Web based travel services such as Expedia, Orbitz, Kayak and any other number of travel search sites use different, proprietary search systems to put you and flights together. 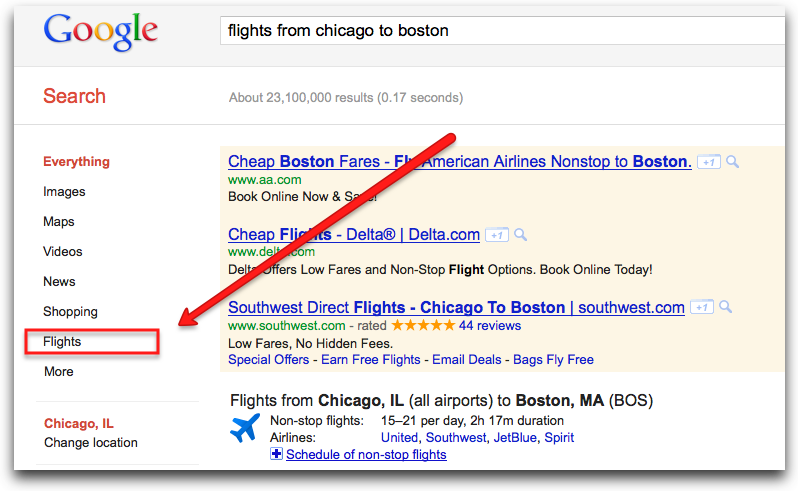 So whats different about Google Flights? The first thing that stands out is it’s speed, it is lightning fast, with instantaneous results. Just enter your dates and destination, now don’t turn away or you’ll miss it. Before you know it you will have a list of options based on various filters that you set, don’t worry you can change the filters at anytime. The key here is to go through the whole list, don’t assume the cheapest flight will be at the top. Also, the cheapest flight is not always the best flight if your required to make 3-4 stops, so it’s important to look at all the search results. There are a number of Button’s on the right side of the drop down boxes, when you click on those boxes the information expands to give you a completely different look. My favorite is the Map View. 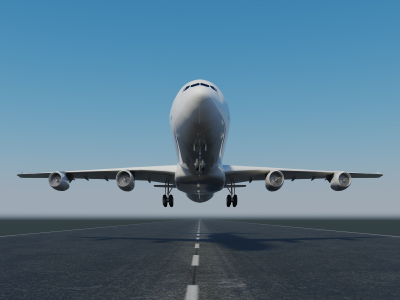 Not only is it great to look, it makes changing your destination a breeze, just click on a different destination city, and behold the instantaneous changes to the available flights. 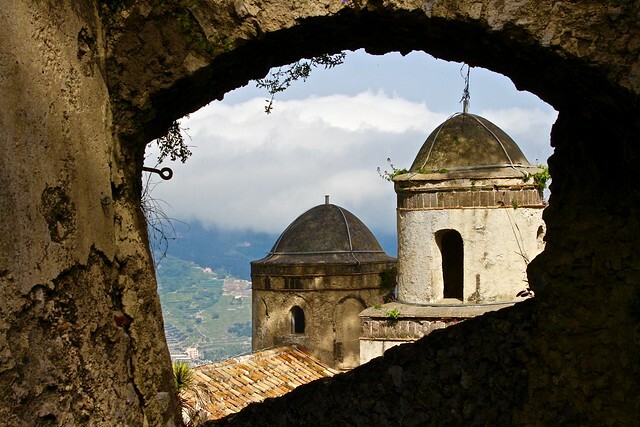 What is really great about this is that if you are a budget traveler this is a great way to find out where you can go for the amount you have to spend. If you’ve got $300 to fly somewhere for the weekend, well you can quickly see where you can afford to go. Are there any drawbacks to this service? Yes, the most obvious is that this is a domestic search service at this time, we can only hope that in the future this will be expanded to include international travel. Also, one of the consistently least expensive Airlines is not represented, Southwest. You will probably see their flight times, but not their fares or availability. Google Flight also does not allow you to book one way flights. Considering this a new service from Google, it may be too early to determine if your getting the best information to make a decision. I would recommend using it, but verifying the information directly with the Airlines as well. As more and more people use this service the information will become more consistent. 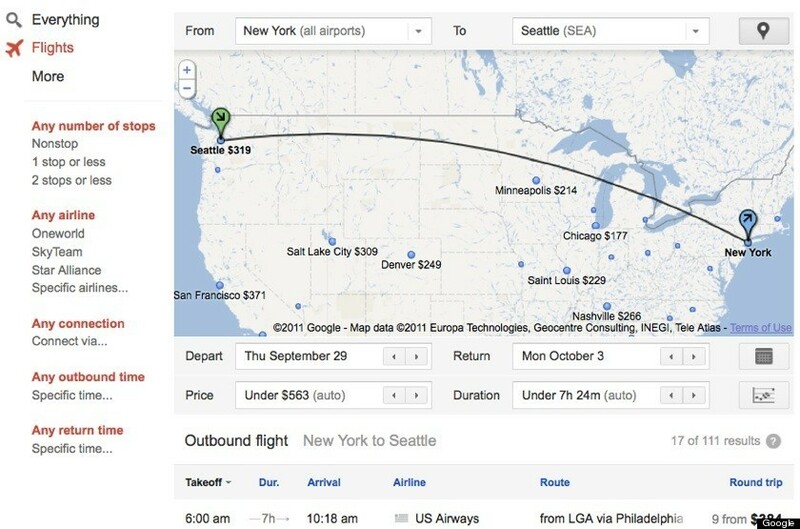 What are the benefits of using Google Flights? 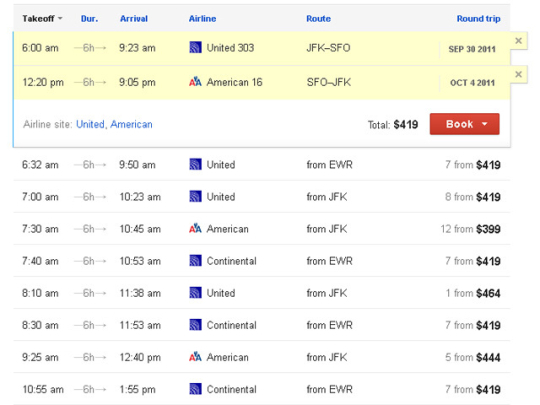 The ability to see and compare flights from a number of Airlines. The Speed of this system is quite remarkable, unlike other travel booking sites where you have to reset and start over, this one allows you to just make changes and instantaneously see the results. Flexibility is another wonderful feature of this service, allowing changes to be made while your searching. It’s design seems intuitive and easy to navigate, giving the user a different look at what’s available. Did you know that the word Google is a made up word. It’s a play on words if you will. The real word is Gogle, which is a number like million, billion, trillion and so on. A Gogle is a 1+100 zero’s. So Google is meant to represent a infinite number of results from your search. Become a friend of travelwithscott on Facebook, just click on the “Like” button to right. Hello There. I found your blog the use of msn. This is a very smartly written article. I will make sure to bookmark it and come back to read more of your useful information. Thank you for the post. I will certainly comeback.